As a kid growing up, I loved Mac n Cheese. What kid didn’t? And I still indulge in boxed Mac n Cheese from time to time. 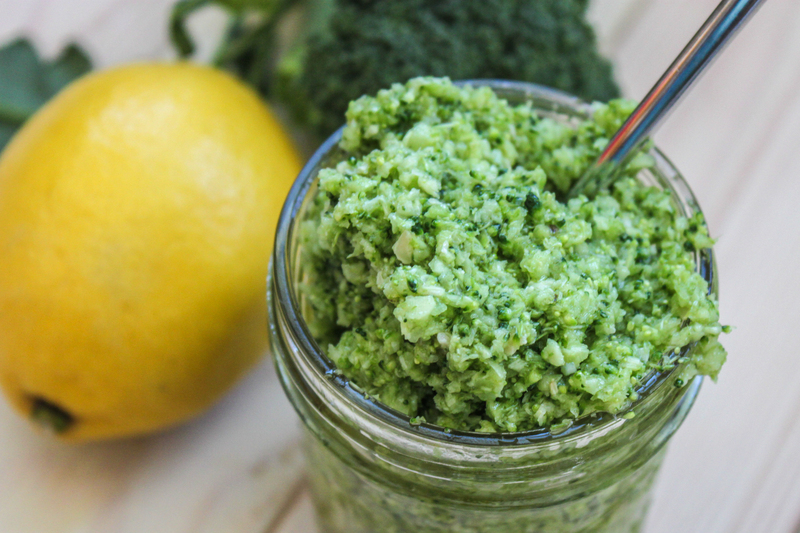 But homemade is way better and makes it rather easy to sneak in fresh veggies, like this homemade raw broccoli pesto. 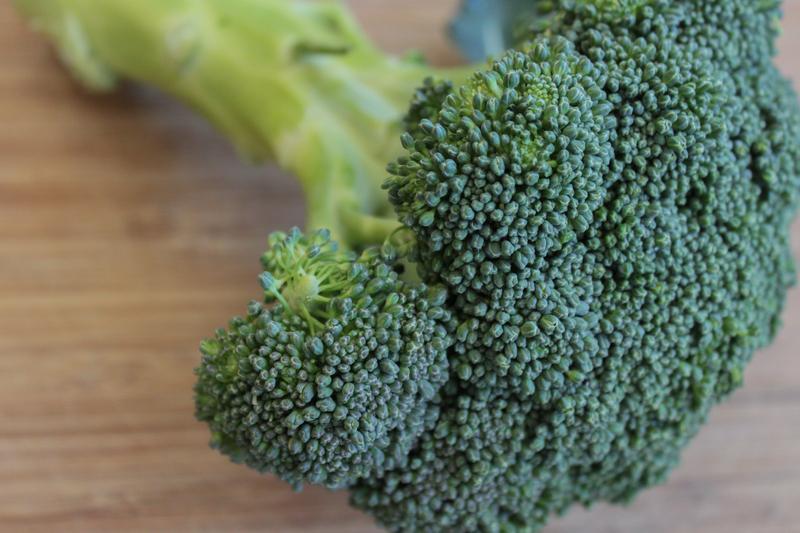 Cut off the broccoli florets of 1 broccoli stalk and peel the stalk, cutting the stalk into 1/2″ pieces. 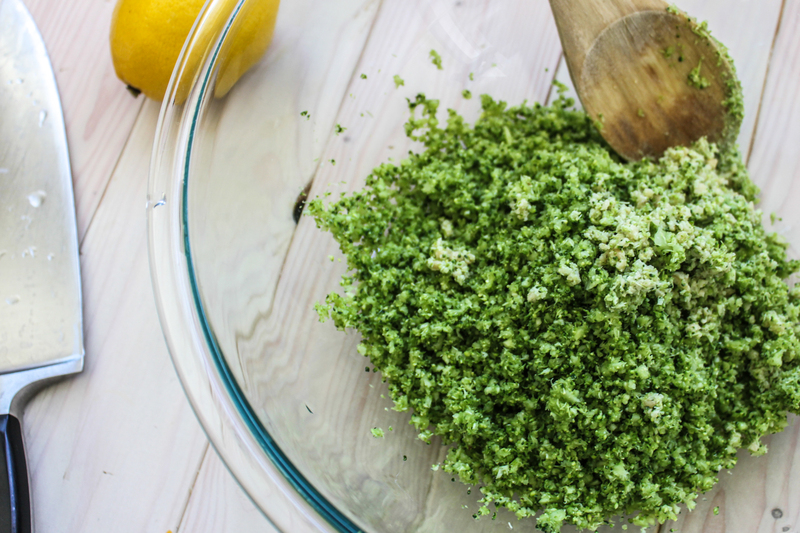 Add broccoli to the food processor and finely chop it, then transfer to a large mixing bowl. 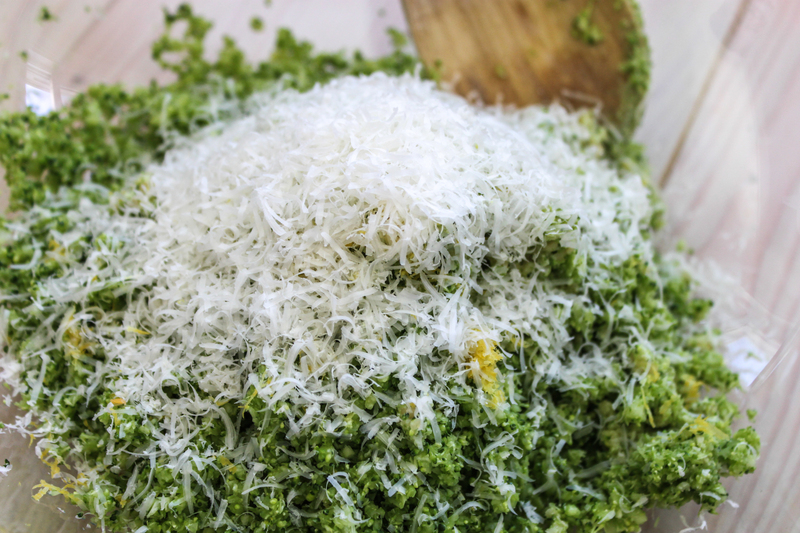 Lightly fold in 1/2 cup of pine nuts, chopped finely, 1 clove of garlic,minced, 1 tablespoon of lemon zest and 1/4 cup of parmesan cheese. Add 3 tablespoons of olive oil, more if needed. 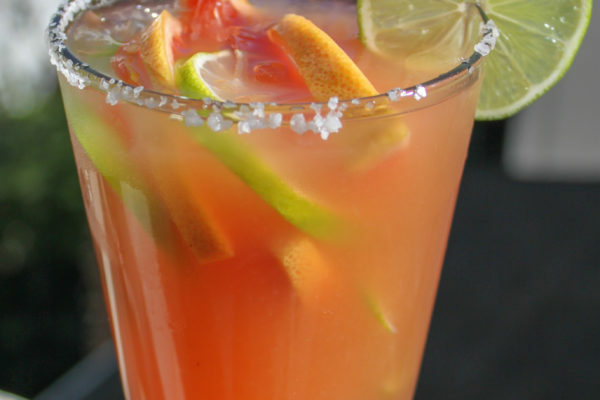 Bring 4 quarts of water to a boil along with 1 table spoon of salt. 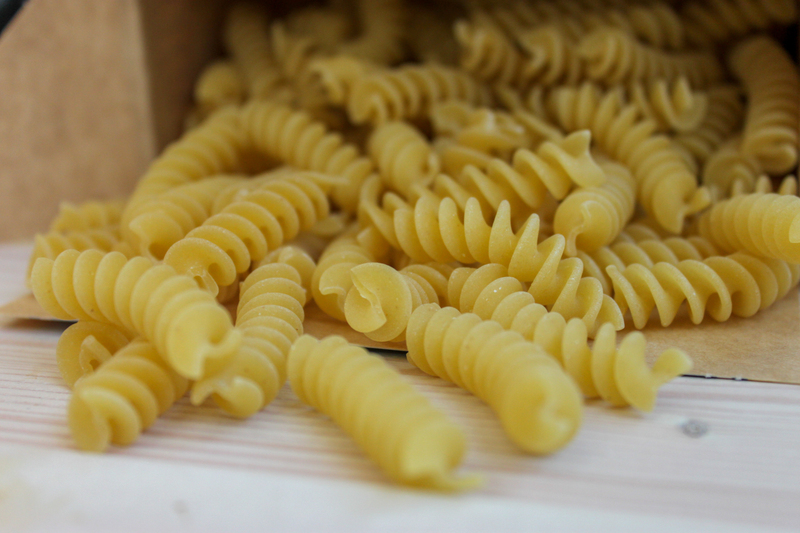 Add 1 pound of fusilli and cook until al dente, about nine minutes for most pastas. NOTE: FACT: In 1937, Kraft was the first to sell boxed macaroni and cheese, and it became an instant hit. They sold 9 million boxes that year! 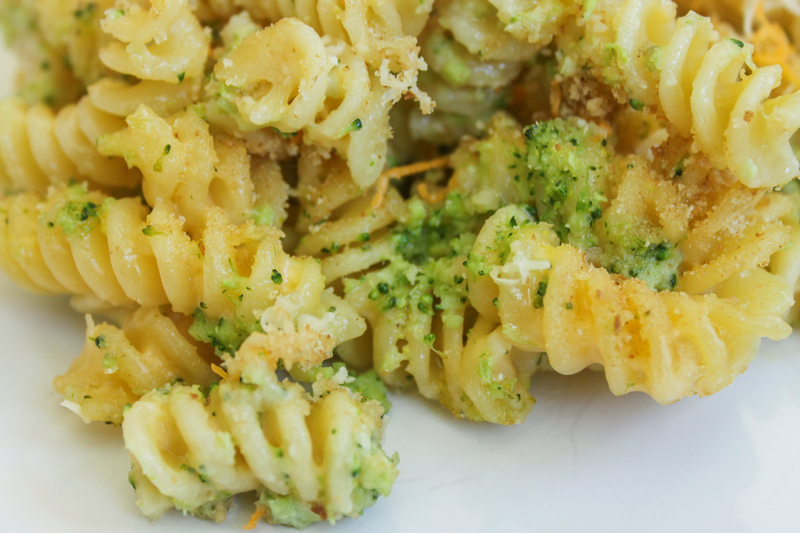 You can learn more fun facts about mac and cheese here. Create a roux by warming the 2 tablespoons of butter in a large skillet and adding 2 tablespoons of flour. Whisk well until all of the flour is incorporated. Slowly add in 2 cups of milk. 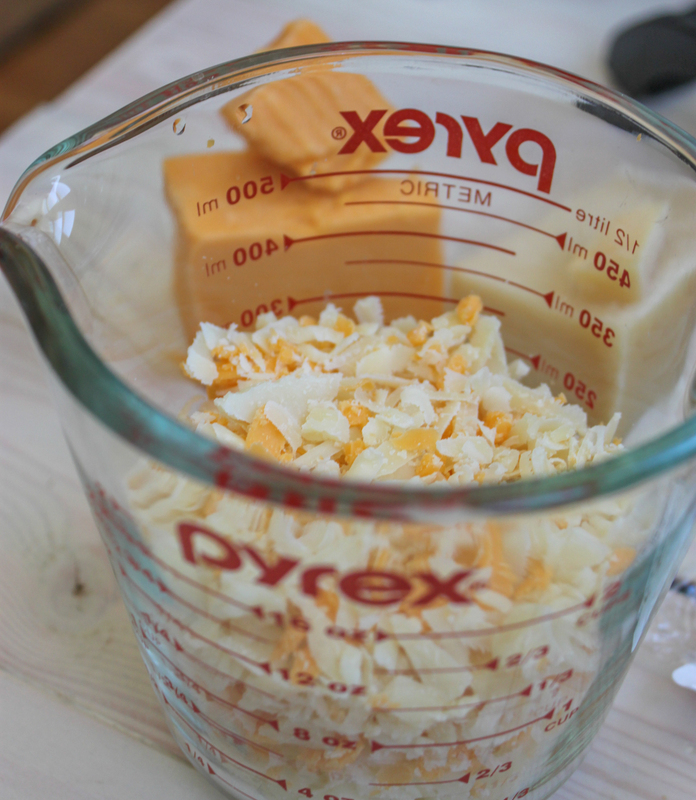 Once the flour, butter and milk have combined, add 1 cup of shredded Gruyere cheese, 1/2 cup of shredded cheddar cheese and 3/4 cup of Parmesan cheese . At this point, the sauce should be fairly thick. If you wish for it to be thicker, bring the cheese sauce to a slight boil and then remove it from the heat. 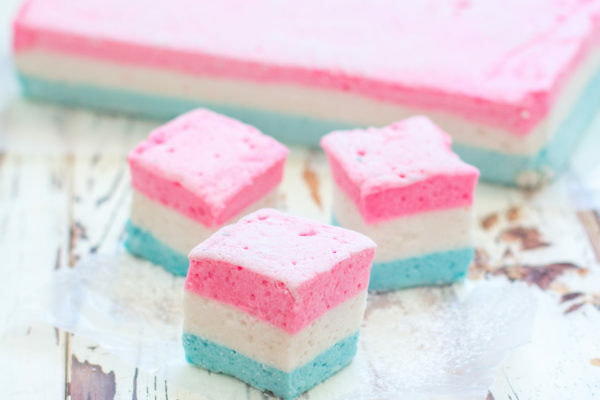 If you want to thin it out a bit, add more milk. But do it sloooowly. 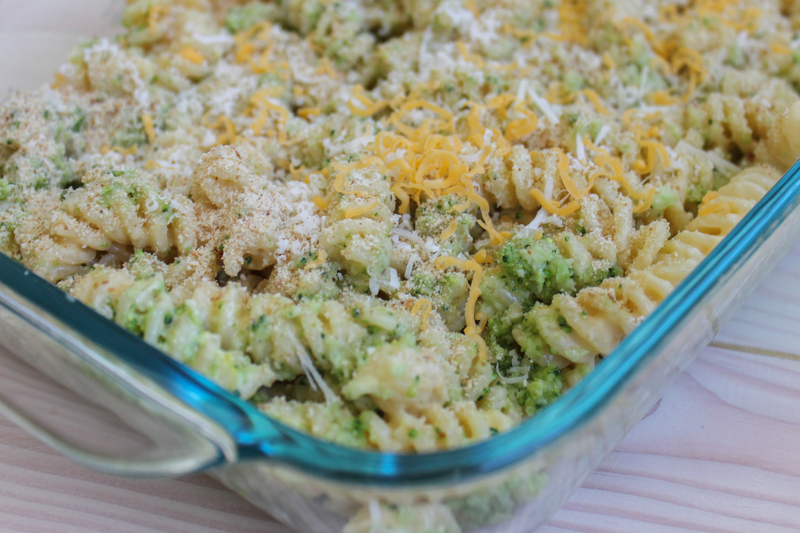 In a large mixing bowl, toss the cooked fusilli with the cheese sauce then transfer it to a baking dish. 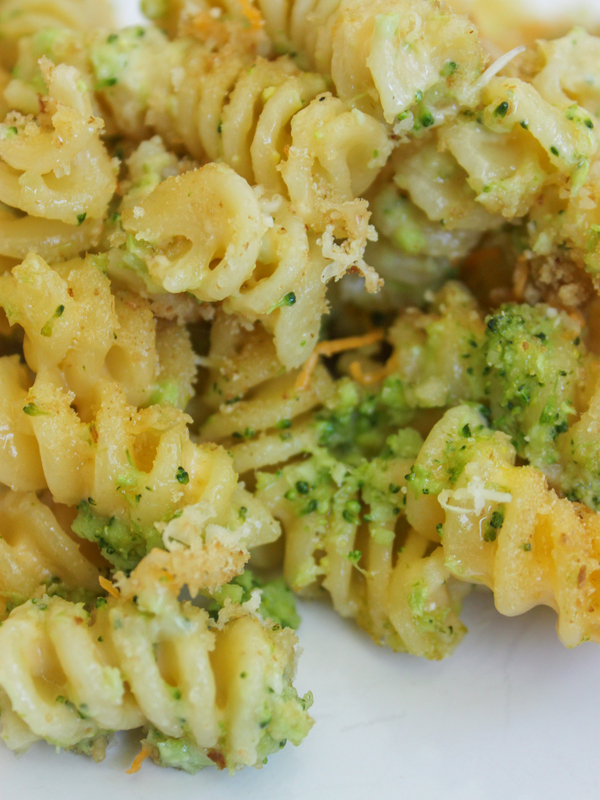 Place heaping tablespoons of the broccoli pesto throughout the cheesy pasta. Top with 1/4 cup of bread crumbs and the remaining shredded cheeses. 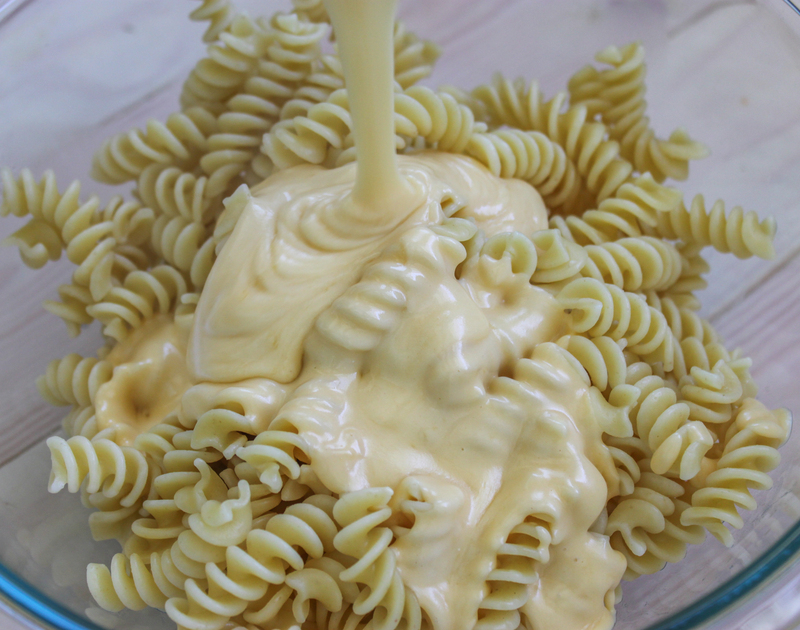 NOTE: Oh, I want to add that when I photographed this recipe I did not make enough cheese sauce. Oops! 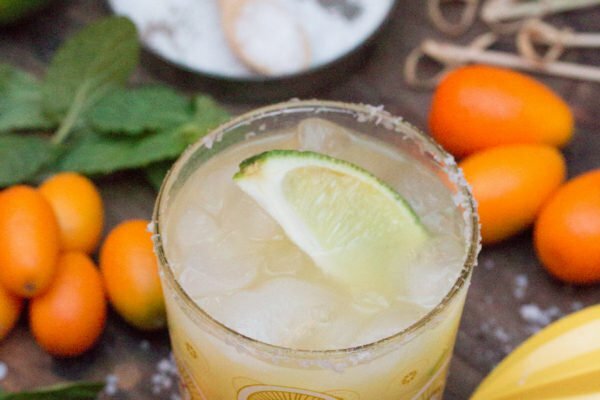 Don’t worry, the recipe below has been adjusted and it is much cheesier than shown. Bake at 350 degrees F for about 20 minutes, until the cheese sauce begins to boil and the topping is golden.Enjoy!